Ali Eslami raised to 130,000 in the cutoff and took down the blinds. 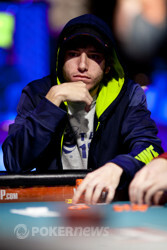 Then Daniel Weinman raised 'pot' making 175,000 from early position and also took down the blinds. Finally, it was the turn of Shaun Deeb to raise and take the blinds. The action then folded around to Andy Frankenberger on the button and he made it 125,000. 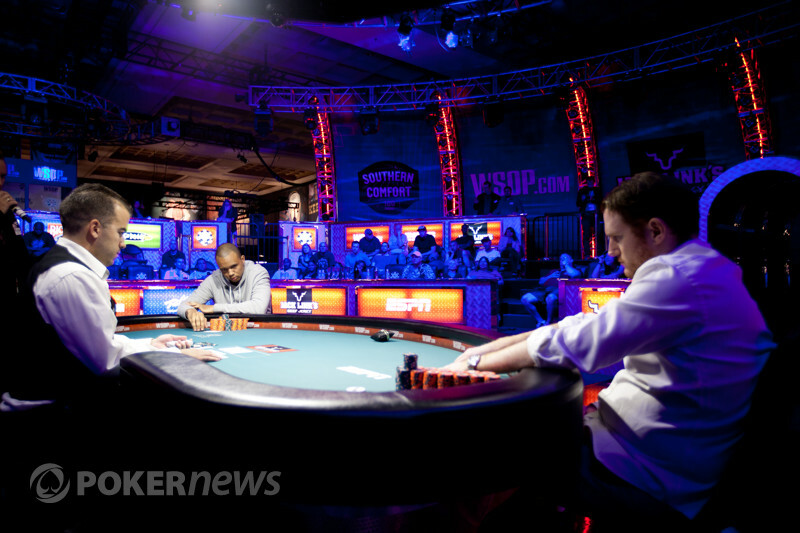 Daniel Weinman decided he wanted action, and he moved all-in from the big blind; Frankenberger making the quick call. Frankenberger's queens fade the kings and clubs and Weinman is out.